In response to The Reverend Lesley Carroll’s call (in the comments section of Brian Rowan’s article titled: “The sorry truth – Are we healing or hiding from the past?) for members of the legal community to clarify the position on amnesties in terms of the local debate on truth recovery I thought I should respond. Together with my colleagues Louise Mallinder (UU) and Gordon Anthony (QUB), we are just beginning a project to have a public debate on precisely these issues in partnership with local NGO Healing Through Remembering. In addition, for the past four or five years Louise and I have also been studying amnesties internationally, including in what circumstances they are lawful and what effect they have had on other peace processes. The first point to make is that amnesties can be perfectly lawful and indeed quite a normal part of the transition from conflict. Between January 1979 and December 2010, an average of 12 amnesty laws were enacted each year around the world. It is true that ‘self’ amnesties (such as those given by General Pinochet to himself and his supporters in Chile) are no longer lawful under international law. However, amnesties which are conditional and which linked to other processes, such as truth recovery (as in South Africa) or apologies\acknowledgement of what has occurred can be perfectly lawful. It is true that there is a duty to prosecute offenders when they have been guilty of ‘genocide, war crimes in international conflicts and crimes against humanity’. While these terms are sometimes bandied around rhetorically in politics in Northern Ireland, they are terms which have quite a precise legal meaning and, long story short, these categories most likely do not apply in Northern Ireland. Lesley is right of course to raise the relevance of the European Convention of Human Rights. The ECHR creates a duty on states to carry out an effective investigation when state actors have been involved in human rights abuses, it does not impose a duty to prosecute in all circumstances. The issue of derogation from the ECHR – (derogations occur when the life of the nation is threatened and thus the current threat of violence in NI would not really justify such a dramatic move) –is therefore irrelevant. Mechanisms which removed the duty to prosecute if they were explicitly linked to other objectives (e.g. truth recovery, closure for victims, reconciliation etc) could, in my view, be perfectly lawful under the ECHR if designed carefully enough. Indeed, as readers will already be aware, such mechanisms have already been utilised in terms of the legislation introduced with regard to the discovering of the bodies of the disappeared, the guarantee of immunity for those who gave evidence to the Bloody Sunday Tribunal, the decommissioning legislation – all of which were ECHR compliant. In short designing a lawful amnesty in Northern Ireland linked to truth recovery and reconciliation is certainly feasible from a legal perspective. The real difficulty in the local context with regard to amnesties are political rather than legal. Given that reality, perhaps it makes more sense to speak in terms of looking more closely at the duty to prosecute and in what circumstances the duty to prosecute remains in the public interest. As was illustrated by the recent collapse of the Loyalist Supergrass trial, prosecutions for historical cases remain notoriously difficult to achieve. Eye witness evidence is unreliable, forensic evidence may not exist or be contaminated, defendants will often remain silent and of course trials and investigations are extremely expensive and may ultimately fail. If in the case where is successfully prosecuted, if the offence occurred before 1998, the maximum they will serve is two years. If a person is held on remand, they may be convicted, and still walk free from prison within a very short time of the trial being completed because their time spent on remand is likely to be calculated as part of the two year maximum sentence. In such a case, the trial becomes almost entirely symbolic. Certainly adversarial trials are not a place where defendants are likely to share the kind of truths that victims often crave. Some may argue that such symbolic punishment is important enough, but a broader question then becomes whether it is in the public interest. Decision on whether a prosecution is in the public interest rest with the Public Prosecution Service, currently headed by Mr Barra McGrory. The decision to proceed with a prosecution requires that the PPS be satisfied of two elements, (a) the evidence test – that there is a reasonable chance of a conviction and, once this test is satisfied, (b) that a prosecution in the public interest. Issues which the PPS may consider in determining not to proceed with a prosecution in the public interest include; the severity of the likely penalty (bearing in mind the two year maximum time served for pre-Good Friday offences); the age of the defendant at the time ; where the defendant has ‘put right the loss or harm that was caused’ and a range of other non-exhaustive considerations. Although one suspects that the PPS would require a specific set of guidelines to deal with conflict related cases if there was a broader political agreement that it was in the public interest to stay prosecutions because other processes were being established (e.g. 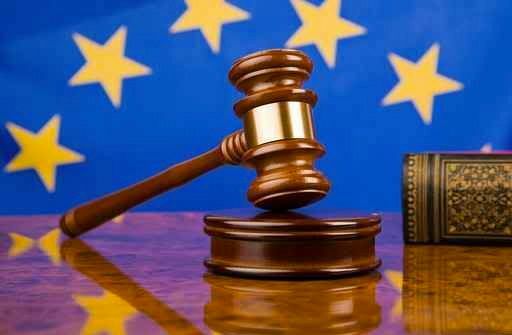 a truth recovery mechanism) the broad point remains – Prosecutors already have a discretion not to proceed if it is deemed in the public interest. this was a very helpful and insighful article. Between your article; that sheds light on the legalistic framework and the possibilities that exist within this, and which goes on to clearly identify certain precedents that have been set in a Northern Ireland context, and the Rev Lesley Carroll article that explores the moralistic framework that wraps around this debate and tends to inform it, i think this gives those serious about a debate much to consider. These articles certainly highlight for me the complexity of trying to navigate a path between legal, political and moral reasoning, which provide multiple layers of challenge. Of course, the GFA began as a moralistic framework, yet that period is long gone, with legalistic frameworks embedded & functioning, and further progress in that agreement is now a legalistic and political consideration rather than a moral one, as legalities now dominate our current political landscape. It certainly shows that before we rush to fill a space, we need to know what that space is, what the implications are, and what safeguards are in place. John/Kieran – a few of us were chatting this over today; not only what is possible legally, but this question of political will – or lack of it – as an obstacle to what is achievable. I don’t think the question of amnesty will be answered in our context until everyone knows what will be given in return; given in terms of releasing and sharing information and providing the maximum responses to all questions from all sides. Someone or some side will at some stage have to take the first step; but before that can happen we need the structured process into which they can step. Let’s find the architects with the drawing pencils and paper on which the shape of that process can be sketched and then built upon. Hmmmmmm ….. errrr….. I don’t know. My personal belief is that the ‘idea’ is amnesty for ‘truth participants’ and given the timeline to bring that to actuality, it should be the front runner for the bureaucrat, legal & admin types. Once that is in ‘system’ then build on international “xyz” with a wide base of ‘individuals’ to kick it off followed by ‘volunteers’…. I can’t articulate the sound of “Family Fortunes” when you give a wrong answer but that is what I imagine is ringing in political ‘willpower’ ears….? for members of the state forces and the political establishment. Though in the spirit of this debate I remain to convinced otherwise. ignore their culpability and lack of independence in the conflict. absolve the UK state from fulfilling its international human rights obligations. sides were involved in terrible things? different rule for all others. John – I know you’ve been following this discussion and you have a significant contribution to make to it. On my twitter earlier @brianpjrowan I posed the question, Who fears truth process most – republicans, loyalists or others? I reckon I know the answer. The international facilitators I suggest have a role in this should start with a blank sheet. The British and Irish Governments are not facilitators of a process they are participants in it with many questions to answer. I argue that the First and Deputy First Minister should ask for an international research team, but it should not be shaped by them or the British and Irish Governments. After detailed contacts with all sides, that international team would then report on the question of amnesty, but in the context of knowing what information will be shared and within what structure. I want an end to the narrow blame games – and a process with the widest participation, including media, and let’s see who will go to that table of explanation and information and who won’t. John, the importance of this debate is to determine whether there is a will to embrace the whole question of a reconciliation process. What is already manifest is that thinking in the minds of people like you is much more advanced and sophisticated than practically anything one is hearing from within mainstream Unionism. People like you and individuals in the Republican and Loyalist communities are putting a floor under this debate and fortunately academics like Professor Kieran McEvoy of Queen’s University are helping to flesh out the possibilities for addressing the past. Thanks.